Check out the free sign ups for this event brought to you by Two Little Cavaliers and Happy Tails Spa / Eco Well Dog. 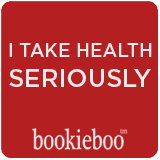 You get a review and giveaway item (Giveaway item will be shipped directly to your winner!) so you'll already have a sponsor. 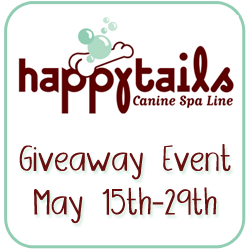 The #HappyTailsSpa Giveaway Hop goes from May 15th (12:01am Eastern Time) – May 29th (at 11:59pm Eastern Time) and all winners should be notified immediately after the event is over so that you can fill in the end of event document with their shipping address by June 1st. Sign ups for this event will be open through April 15th. The products for this Giveaway range in price from $12 – $25 per blogger. For the Rafflecopter, the mandatory entry will be to have them go to the Sponsor’s website, as bonus entries you will be asked to include the Sponsor’s Facebook Fan Page you will also be asked to include a link to their newsletter sign up. By filling out this form you will signing up for this event and be added to the Sponsor’s Blogger Email list to let you know about their exciting products and promotions in the future.